The Gold Coast is a coastal city in southeastern Queensland on the east coast of Australia. The city is 94 km (58 mi) south of the state capital Brisbane. It is the second most populous city in the state, the sixth most populous city in the country, and the most populous non-capital city in Australia. 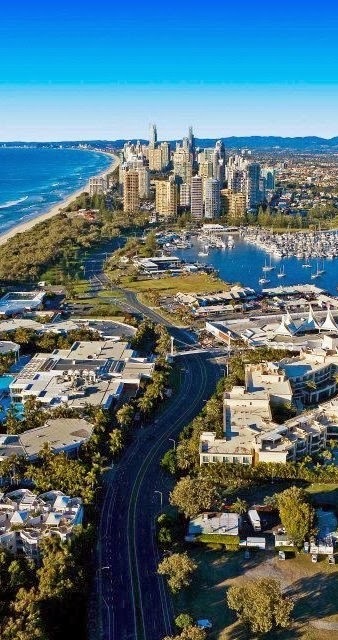 The Gold Coast has the largest cross-state metropolitan area population in Australia, due to the inclusion of Tweed Heads, New South Wales in its metropolitan area. The Gold Coast's metropolitan area converges with that of Greater Brisbane, forming part of an urban conurbation of over 3 million people.